Last week, I finally got out to the woods for a nice long walk. It just happened to be the peak weekend for fall color in my area. The trees were arrayed in brilliant red and yellow with the late afternoon sun highlighting them. 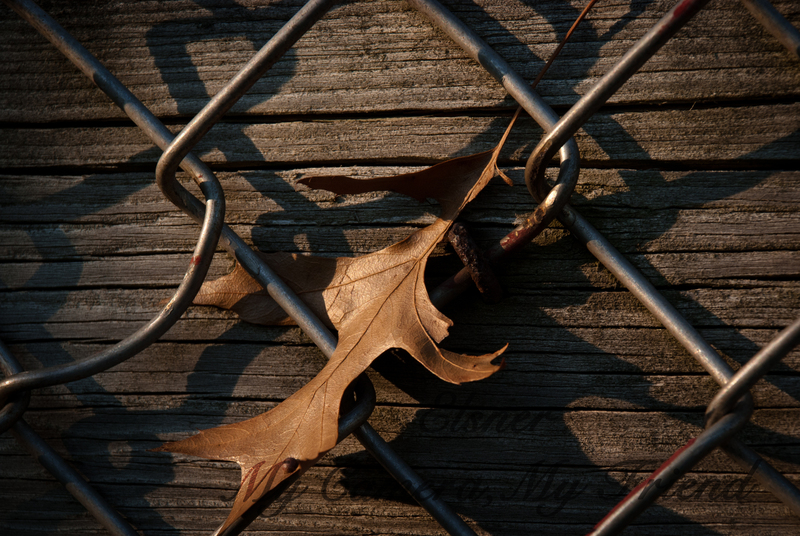 Next Time: More fall nature from a new (to me anyway) park. Well, this isn’t Christmas decorations, but it’s not archive. 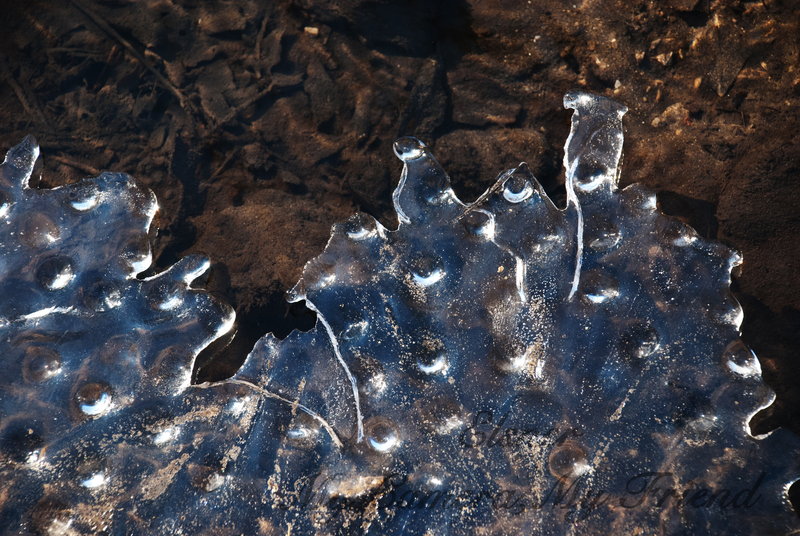 I went on a spur of the moment photo hike today, and I thought it would be better to do the Christmas decorations next week and show you some of the ice and frost we’ve been having in my area this week. We’ve not had any real snow yet, and the frost melts off by midday. However, it’s enough whet my appetite for the visual landscape to come. 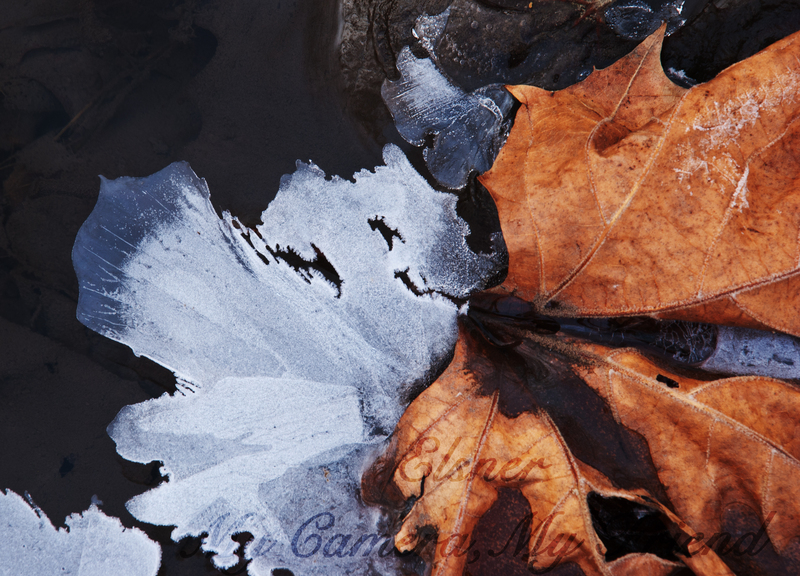 Here, the ice along the creek complements the leaf trapped in it. 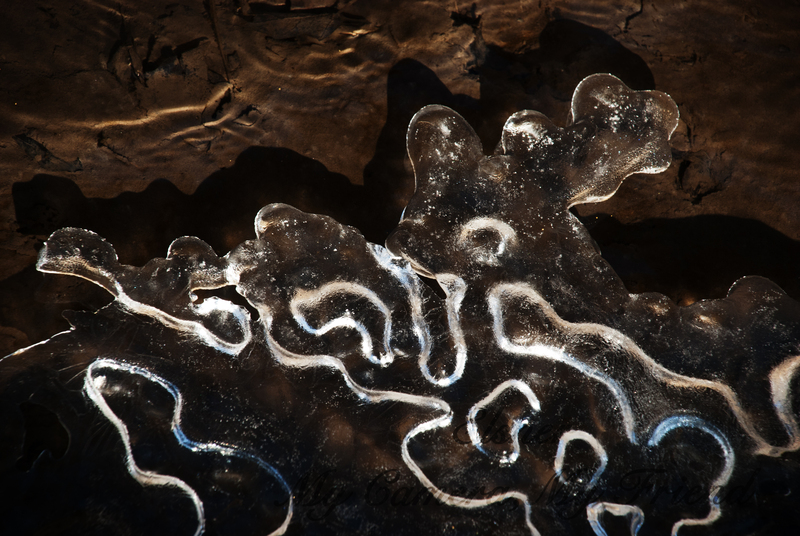 The ice forms various patterns in different locations along the creek. 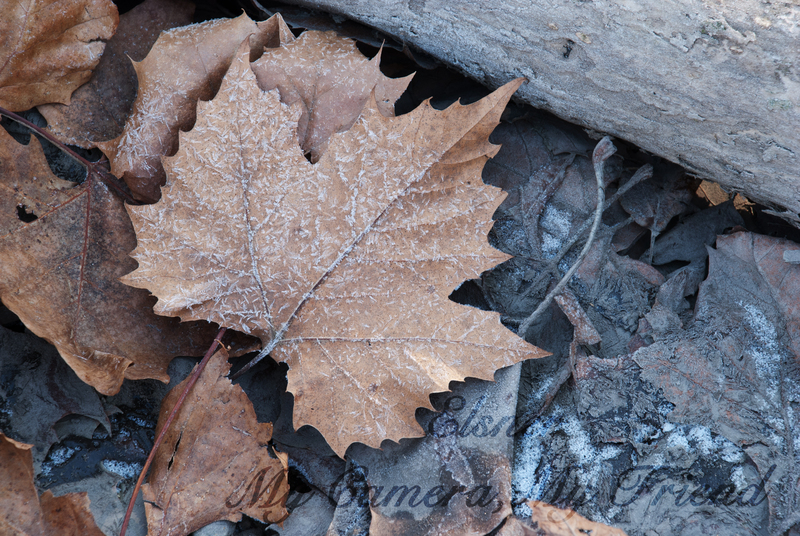 This leaf is covered in frost. It looks practically sugar-coated. I know I can find some archive at the very least. I will most likely finish what I started this week, or perhaps add some more. 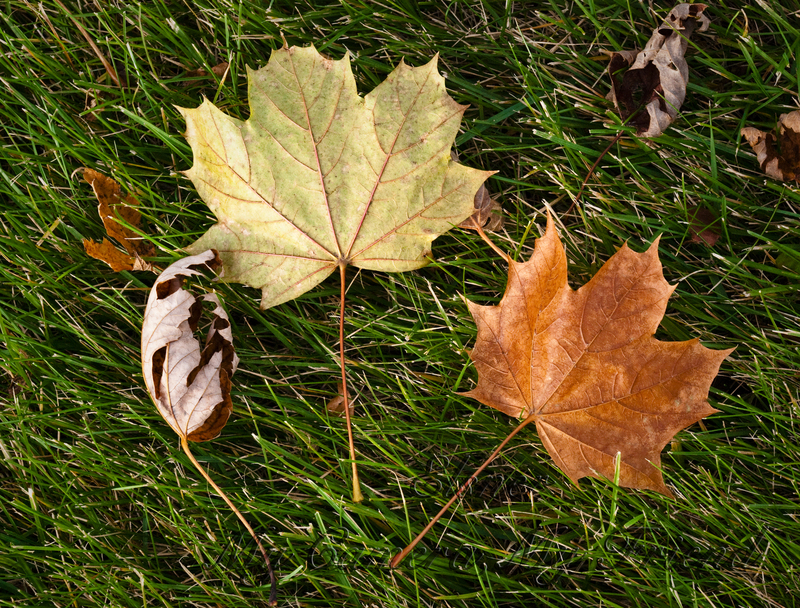 It’s November, and it’s been windy out. 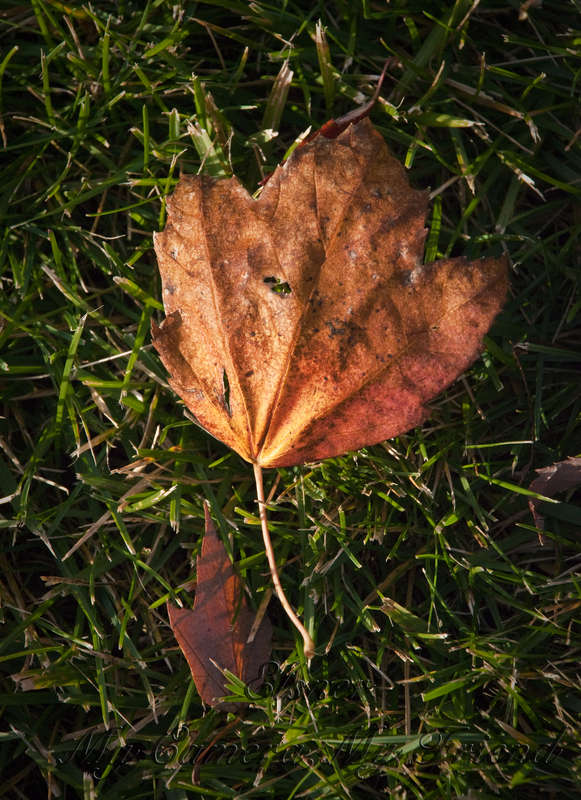 In my area, that means most of the leaves are off the trees and blowing around the universe. You think you’ve raked, but there’s still more on the trees, and if your neighbors don’t bother, there’s no sense in doing it either. 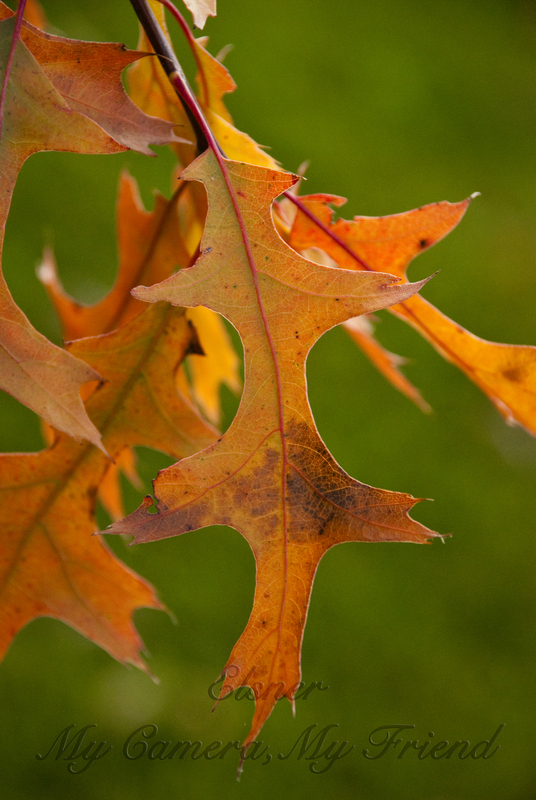 The last tree to drop leaves is the oak. 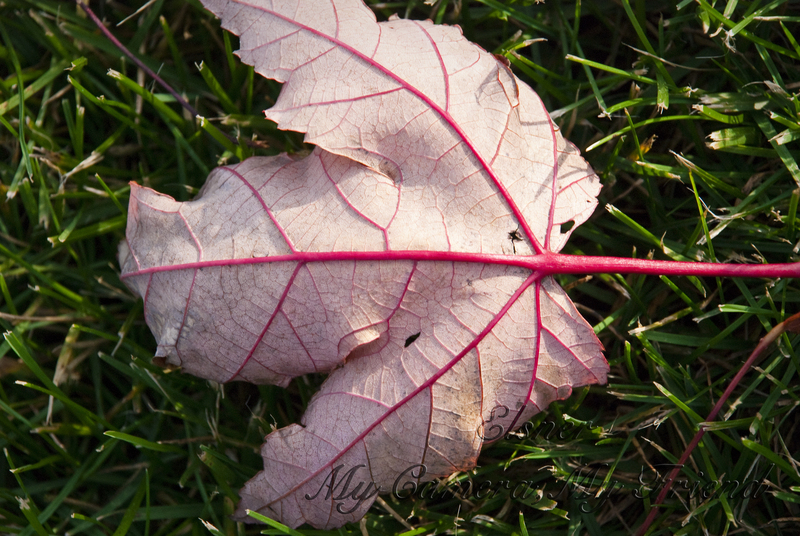 Way back when I was in kindergarten, I used to love collecting leaves. It was considered somewhat educational at that point in my life. Different species, basic plant parts, that kind of thing. The main concern of a leaf-collecting kindergarten kid? Pretty! I was always sad when they dried out and crumbled away. 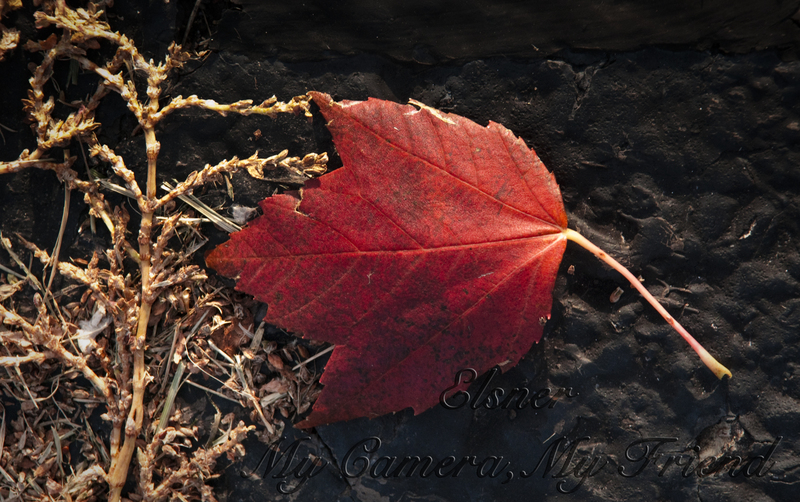 Now, I enjoy photographing fall leaves in all their states, from still a bit green to all dried up. The variety is amazing. This one is so pink on the back it looks artificial. It’s narrow red counterpart wanted a darker background. Several months ago, I saw a set of photographs someone took at the moment they turned off a CRT. I’d like to try it for myself. After a week of unseasonably high temperatures, we were treated to several days of rain followed by cold, windy weather. This is not ultra conducive to photography, but I did manage to get a few shots that do a pretty good job of conveying the fall color in our area. Which, as of right now, is very little. 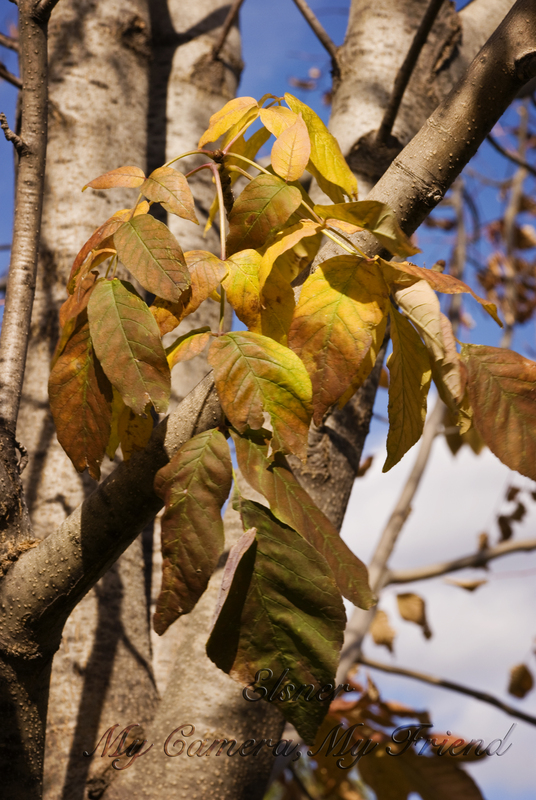 The ash trees are mostly bare with a few yellow and brown leaves clinging to their branches. On the other hand, our maple trees have hardly started turning color. 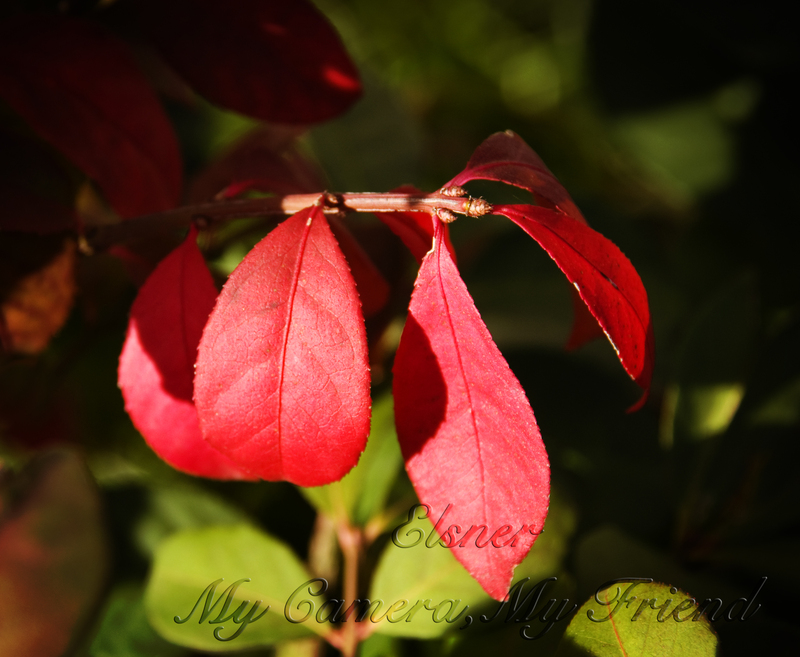 Even the burning bush is in the beginning stages of its fall transformation. At least it has some brilliant red. Patience, patience, I tell myself. It will come. It’s only a matter of time. Yes, I’m feeling like it’s time for another of my weird abstract posts. This one will probably include natural objects, but I’m not sure yet.